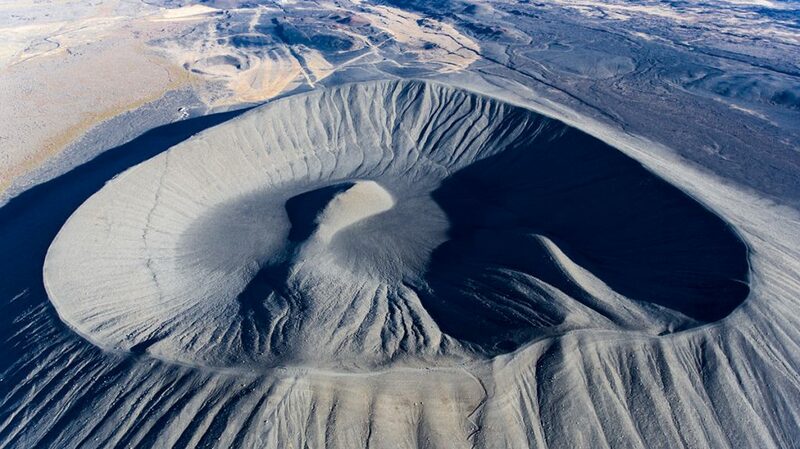 A huge crater you can enjoy from its edge and take a look into it. To walk around will take you an hour, so big it is! 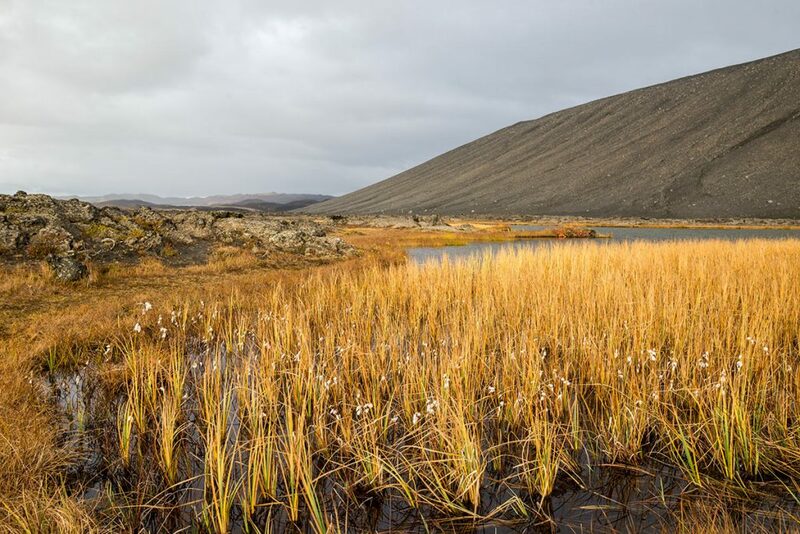 On one side, you can enjoy the view into the crater, on the other side you can see Dimmuborgir lava fields, Skútustaðagígar pseudo craters, simply put the whole surrounding of the Lake Mývatn. 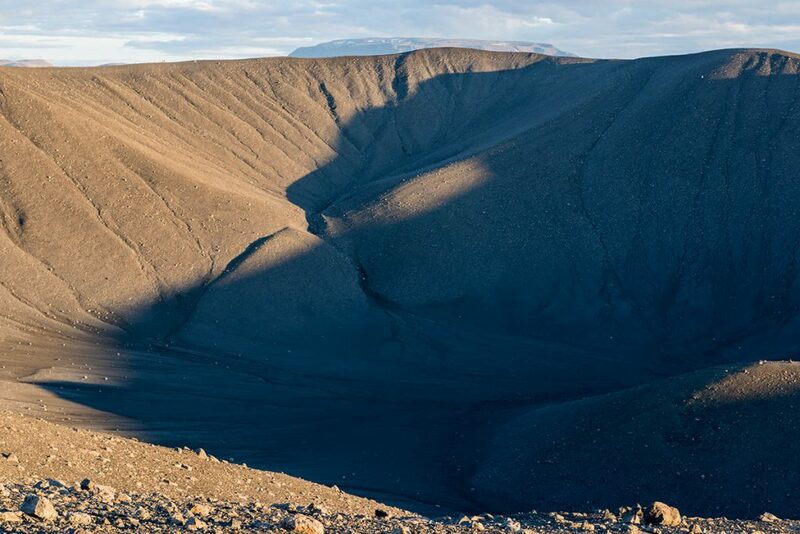 Hverfjall crater is east from Lake Mývatn. Turn of the road nr. 848 here (GPS: 65.610892, -16.917781) to the gravel road. After about a kilometer (half mile) you will encounter a crossing. Go to the left and continue straight forward. 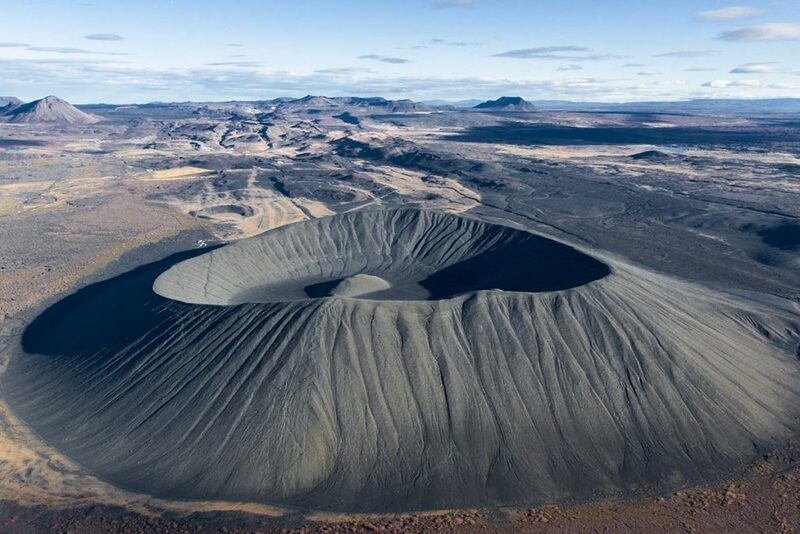 Then you are at the foot of the Hverfjall crater and after 1200 meters (0,7 miles) there is a parking lot. From here on, you have to go up on your own. 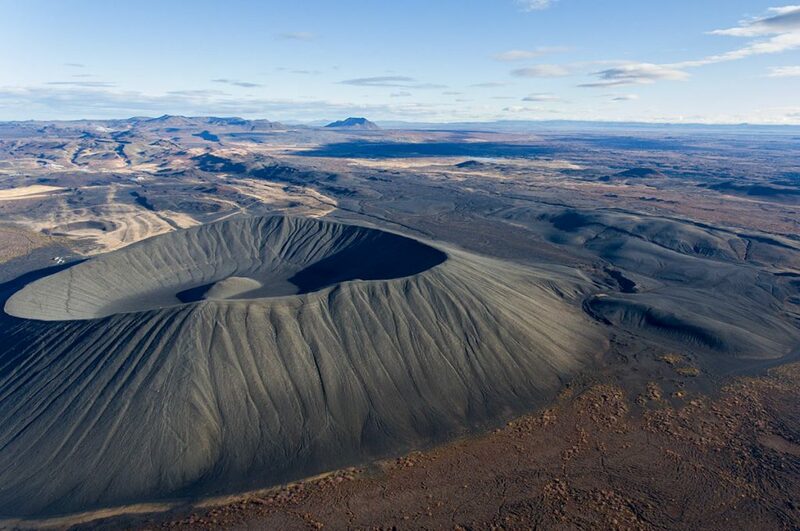 GPS coordinates of the Hverfjall crater: 65.608962, -16.877643 Take me there!